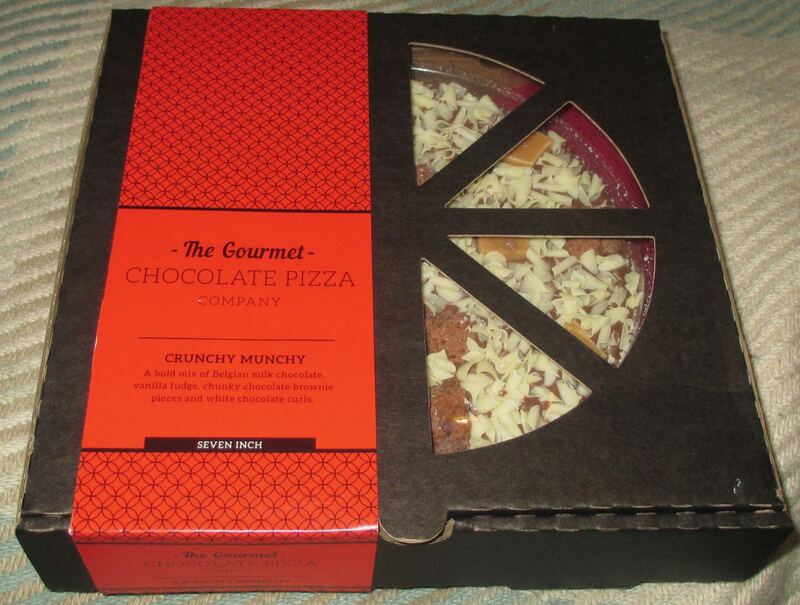 The lovely folks from The Gourmet Chocolate Pizza Company asked if we wanted to try out one of their fantastic looking chocolate pizzas, and also said we could give one away as a competition prize! Details on this are below. I can’t hep getting excited when the post comes and brings a parcel but receiving a pizza box in the mail really did make me smile. The box looks very authentic but you can see the chocolate pizza showing through. Although this is a chocolate pizza in name, there is not doughy base, the whole thing is chocolatey goodness. This particular one is called a Crunchy Munchy and has a milk chocolate base topped with white chocolate curls, fudge pieces and chunks of chocolate brownie. I was worried for a second about removing the pieces from the box but was pleased to see that there was a handy thumb slot to ease the slices out and each one had already been pre-cut. 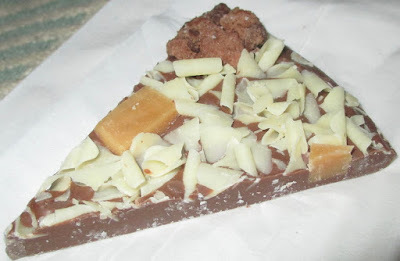 You can see from the side view that the chunks of fudge are embedded fairly deep into the chocolate pizza to stop them from falling out. I have written a few times before on here about my love of a mix of textures and this chocolate pizza completely satisfied that. The chocolate base has a thick melt that coats the tongue well, but the curls and soft fudge and brownie pieces all just mix things up perfectly. The chocolate is of a lovely quality, with a good defined taste and plenty of sweet creamy flavour. The fudge pieces are buttery and sweet and a pleasure to stumble on, as are the richer brownie pieces. 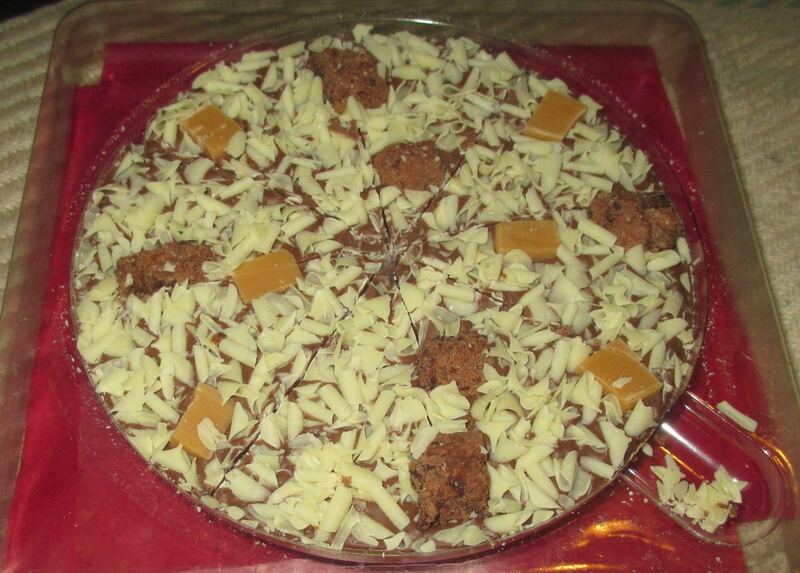 The Gourmet Chocolate Pizza brought a smile to everyone who shared it and it would be perfect for sharing with friends during a night in. It is also a bit of statement gift, sure to make the recipient smile from ear to ear. If you would like to try and win your very own Gourmet Chocolate Pizza please enter using the RaffleCopter form below - Good Luck!! !